What does the future of Industry 4.0 look like for manufacturers? 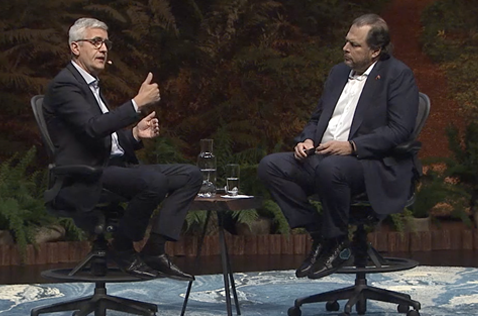 Watch the exclusive sit down with Ulrich Spiesshofer, CEO of ABB and Marc Benioff, CEO of Salesforce. Learn how ABB is applying IoT and AI to connect with their customers in revolutionary ways - and why you should too.